LEN - www.lankaenews.com | Conspiracy to stoke communal violence again ! Amparai now calm….. Conspiracy to stoke communal violence again ! 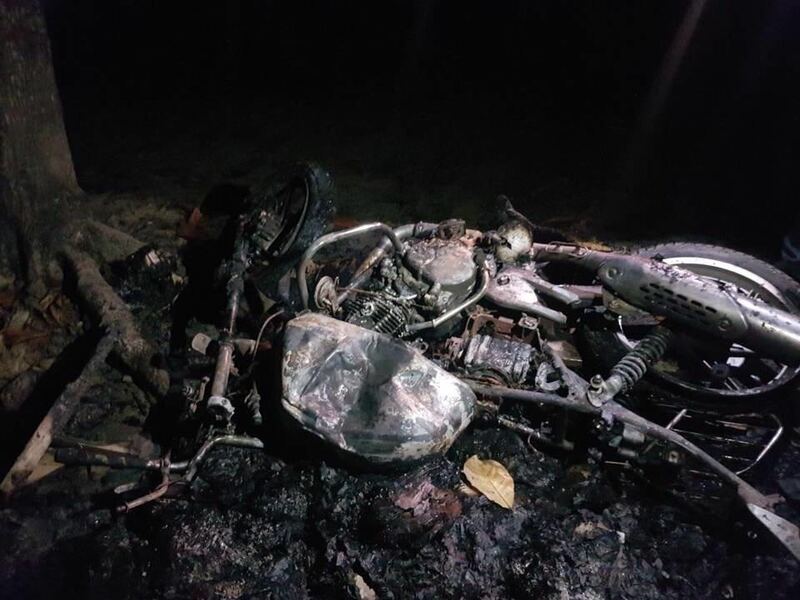 Amparai now calm…..
(Lanka-e-News - 28.Feb.2018, 11.30PM) Another planned attempt based on a conspiracy to create ethnic conflicts in the country was made in Amparai on the 26 th. A n organized gang had attacked a number of business establishments and a mosque in Amparai town , and caused damage. 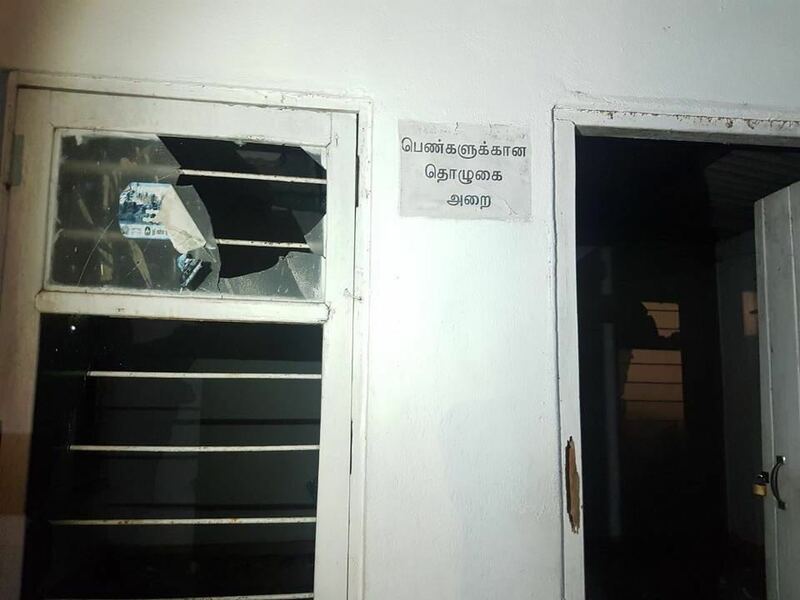 A group which ate kothu rotti at a Muslim hotel which is open in the night has suddenly begun attacking the owner of the place alleging that infertility pills have been included in the food. They had also damaged the shop and set fire to a motor bike nearby. Four other shops in the vicinity of the hotel have also been attacked. 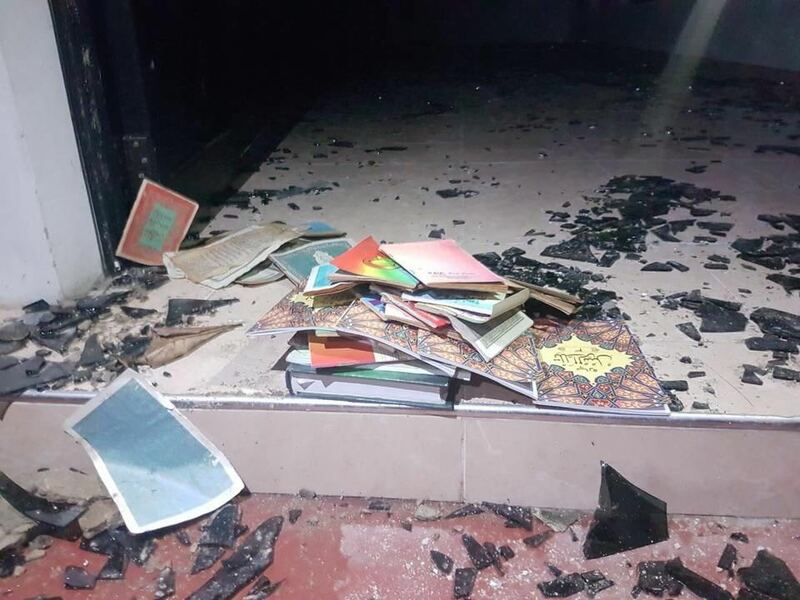 Thereafter about a group of about a hundred had gathered and attacked a mosque situated about 1 ½ miles away . The wall of the mosque was destroyed. * A crowd of about a hundred congregating in the middle of the night at once following the attack on the hotel is something that is not natural. * The Amparai police is located just about 300 meters away from the scene of the incident. How come they could not bring the situation under control? * Not only the police , the STF camp , army camp and Air Force camp are also in the Amparai town . It is therefore most shocking why a racial violence could not be quelled ? By now however STF soldiers are providing security while the army has also been detailed for duty in the city. 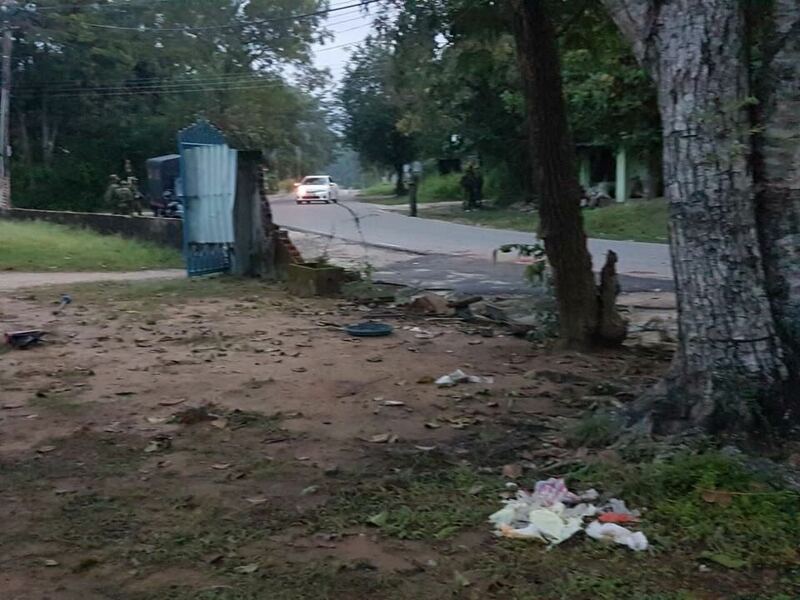 The hooligans and goons were identified, but as usual because a group of bhikkhus of the area fiercely opposed the arrest of the attackers , the police had so far arrested none. This ugly episode as soon as the P.M. taking over the ministry of law and order soils the image of the good governance government . If law is not duly enforced against the criminals , and if they are not apprehended immediately , the support of the minorities for this government of good governance will be lost , said Mujibur Rahman M.P . when expressing his views to Lanka e news . Minister Daya Gamage a people’s representative of Amparai , issuing a statement in this connection stated, a number of minor incidents of violence involving several establishments have been sparked to destabilize Amparai . This is a calculated conspiracy with the aim to tarnish the reputation of the government and undermine peace and reconciliation , Gamage bemoaned while warning the public to act intelligently with patience without falling prey to the conspirators . Photographs depicting the violence are herein ..